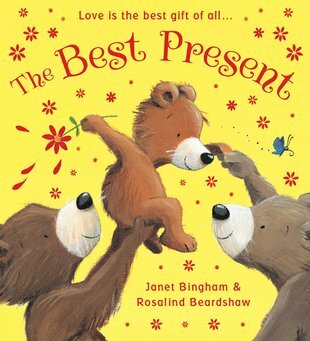 A bestselling team returns in this uplifting story about family ties and the gift of love. Little Bear is on his way to visit Grandma, but first he has to find her a present. He needs the best present in the world – but what can he possibly bring her? A pretty flower? A silky feather? A sparkly snowflake? One by one, Little Bear loses all his gifts. But how can he arrive at Grandma’s without a present? He feels terrible! Little does he know that, for Grandma, the best present of all is him… From the creators of Daddy’s Little Star, Little Deer Lost and Night Light, Sleep Tight, this beautiful, touching story will cast its spell on your whole family.